You like to mess with your phone? Unlock that bootloader and flash some ROMs? Soon there'll be another option for would-be tinkers who want to run mods. 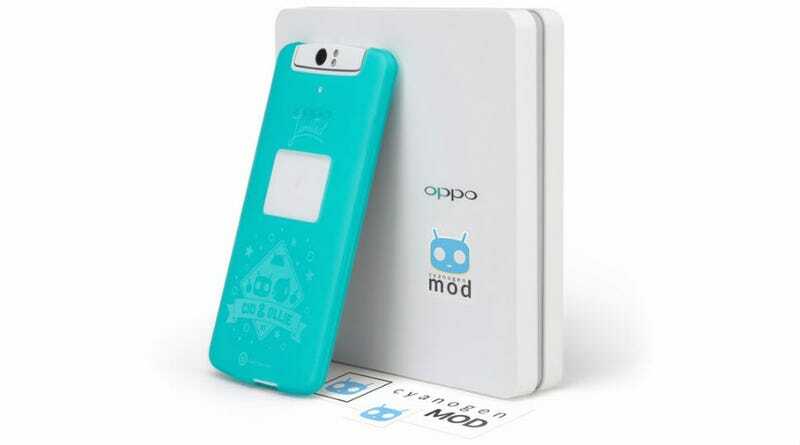 Google just approved the first ever Android phone to run the ever-popular Cyanogenmod right out of the box. The hardware's not new. It's literally just the Oppo N1—a high-end Chinese-made phone with a weird flippy camera thing—but with a modified ROM loaded up on it from the start. You could always just hack your phone and do this sort of thing yourself, but the big deal is that Google OKed this; in order to sell an Android product with the suite of Google apps included, you have to get Google's blessing. And the Cyanogenmod team did. Other products that run forked or modified versions of Android (we're looking at you Kindle Fire) don't have those apps included.